Lovingly cared for and Updated 4 bedroom home in desireable Buffalo Trails. Beautiful Granite kitchen opens to large family room with gas fireplace. Generously sized Covered Deck looks over the friendly and manageable yard to the woods and green space. Dining room with Bay window graciously opens to living room. Large 2 story entry is perfect for those Homecoming Dance or Class Reunion photos. You will love the Mudroom as the perfect drop zone for all your backbacks and sports gear. Hardwood floors and ceramic tile, new lighting, neutral paint, are just a few recent updates. The finished basement is great for video games or foosball. Abundant storage. Large laundry room and even a home office nook. Freeport School District and handy bus stop. Beautifully Landscaped. Listing provided courtesy of RE/MAX Dynamic, Realtors. I was searching for a Property and found this listing (MLS #1322008). 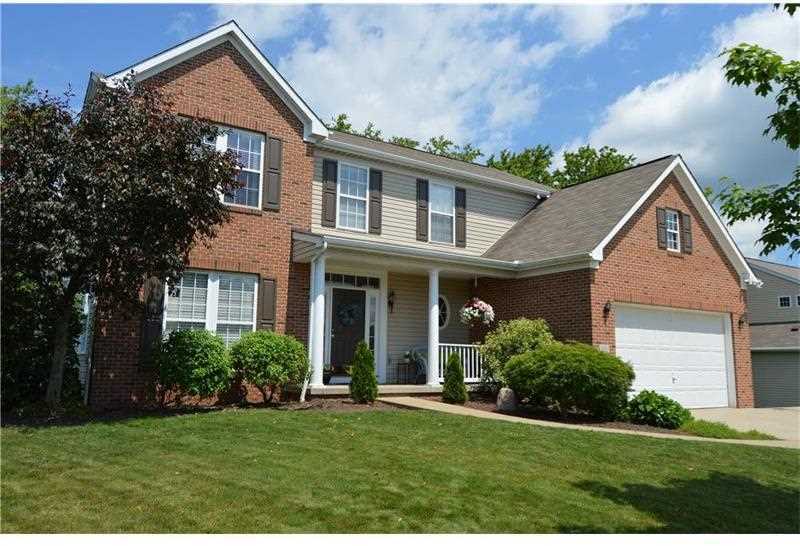 I would like to schedule a showing for 107 Settlers Ct Freeport, PA 16229. Thank you! I was searching for a Property and found this listing (MLS #1322008). Please send me more information regarding 107 Settlers Ct Freeport, PA 16229. Thank you! MLS # 1322008: This property at 107 Settlers Ct, Freeport, PA 16229 is located in the subdivision and is listed for $333,000. MLS # 1322008 has been on the market for 429 days.